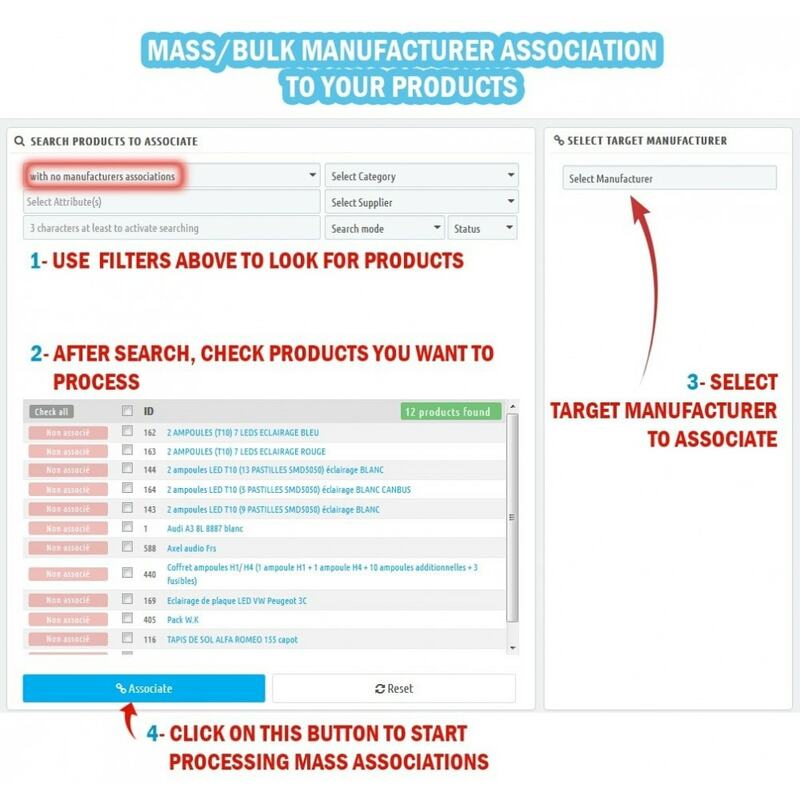 This module allows you to manage any type of mass associations for your products. 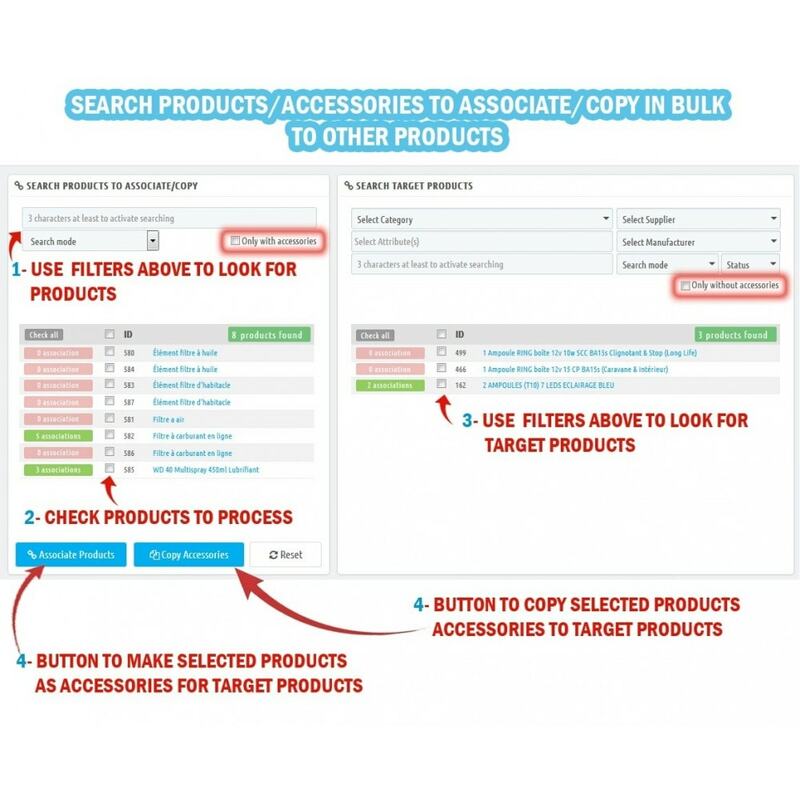 Maximize products visibility in your store. Associate/Move in bulk products to one or many categories. Dissociate in bulk categories from products. Sort the products positions using Drag and Drop system. Set category as default for products. Associate in bulk products to manufacturer. 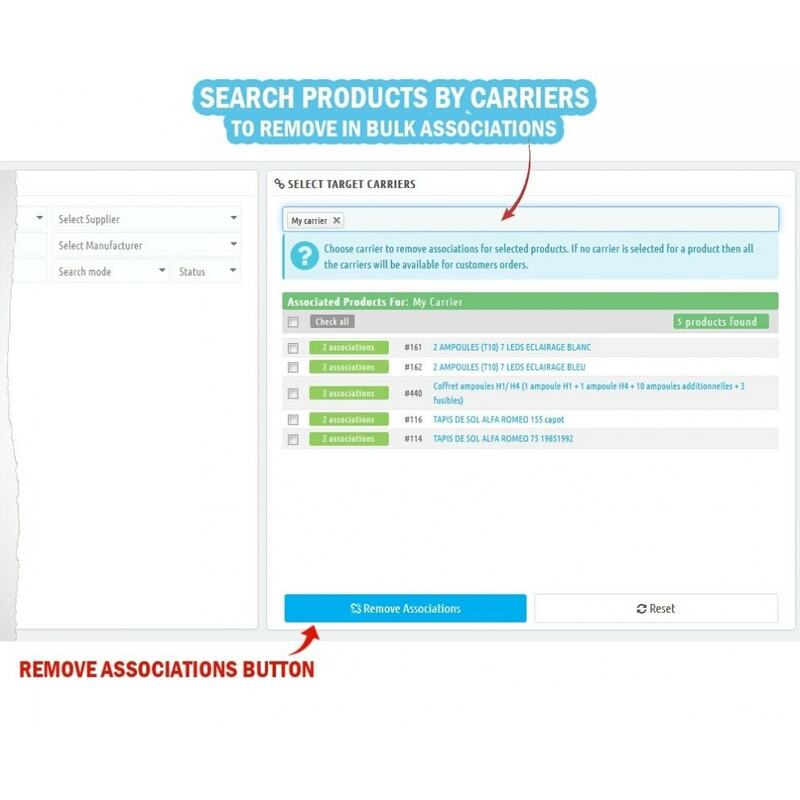 Remove in bulk associations from products. 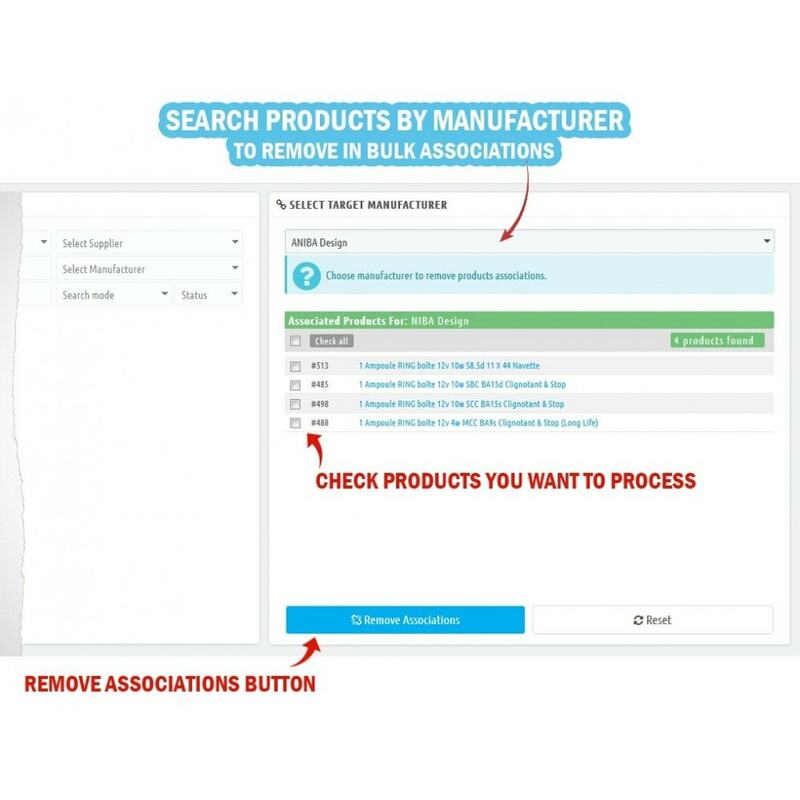 Ability to look for products with no manufacturer associations (eg: products resulting after an import), so you can manage them easily and instantly by associating them a manufacturer. Select some products to become accessories for other products. Copy in bulk products accessories to other products. 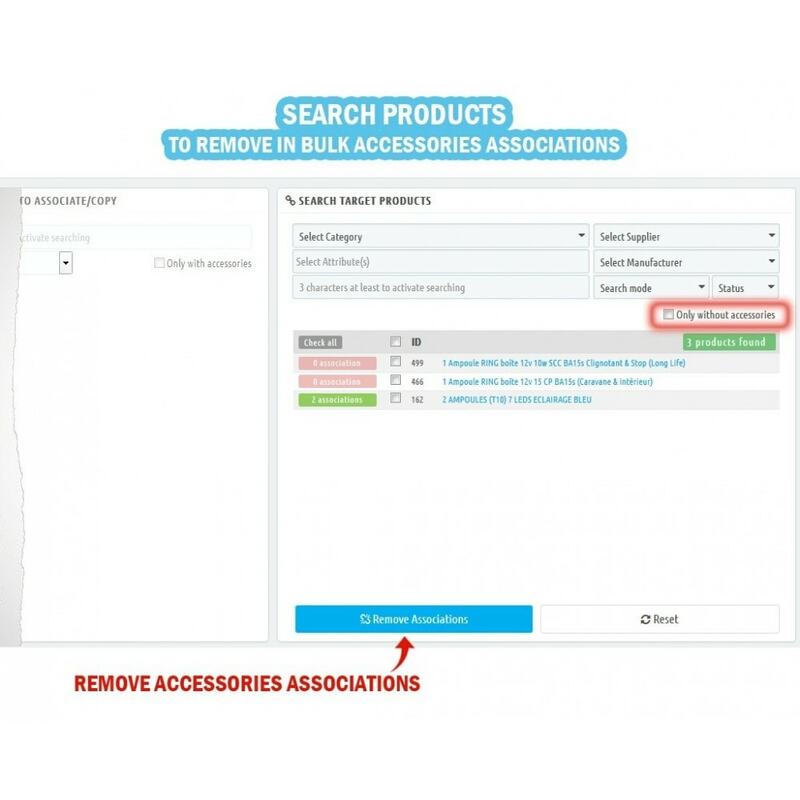 Remove in bulk accessories associations from products. Display only products with or without accessories to manage them. Associate in bulk carriers to products. 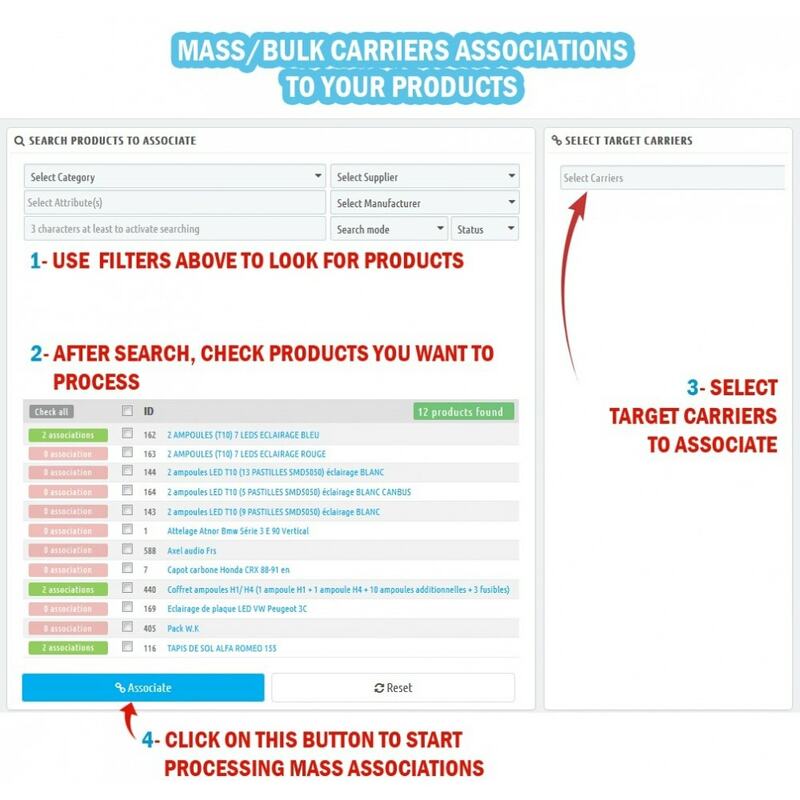 Remove in bulk carriers associations from products. 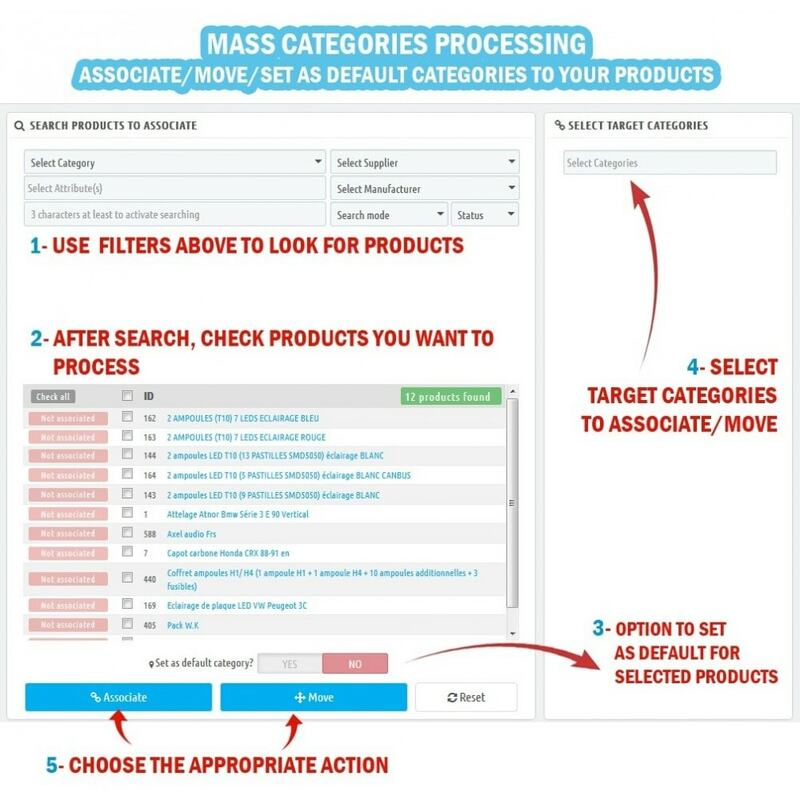 Search Engine Features for Products: We have implemented an advanced and multi-criteria search engine to help you easily find your products. 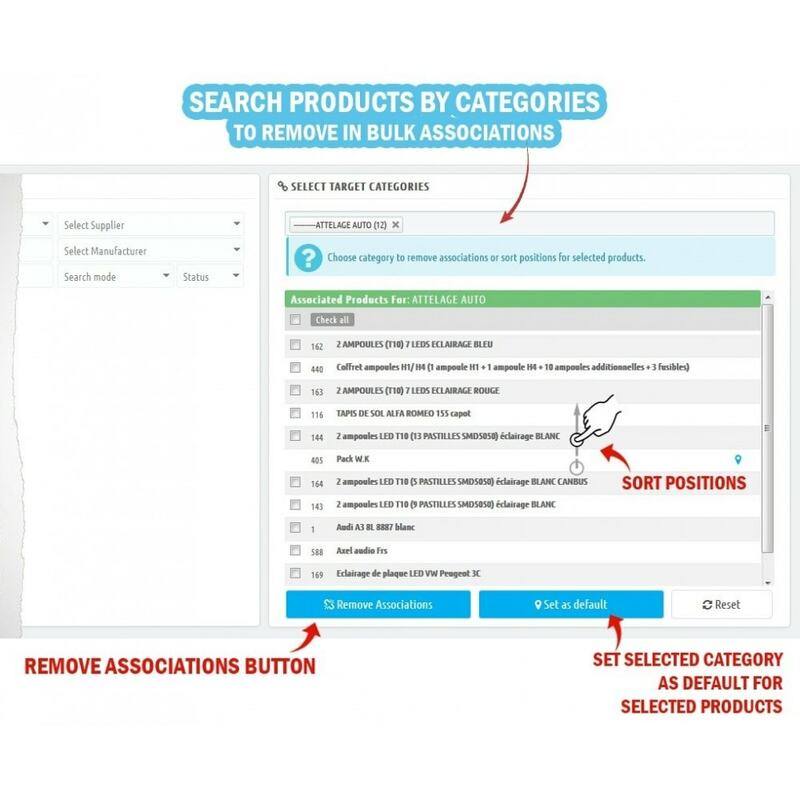 We give you ability to filter results by using an input field with autocomplete search, Boolean Search (all words, any word, exact phrase), Categories, Manufacturers, Suppliers, Attributes, Product Statuses. WK Mass Combinations Assignment For Products. 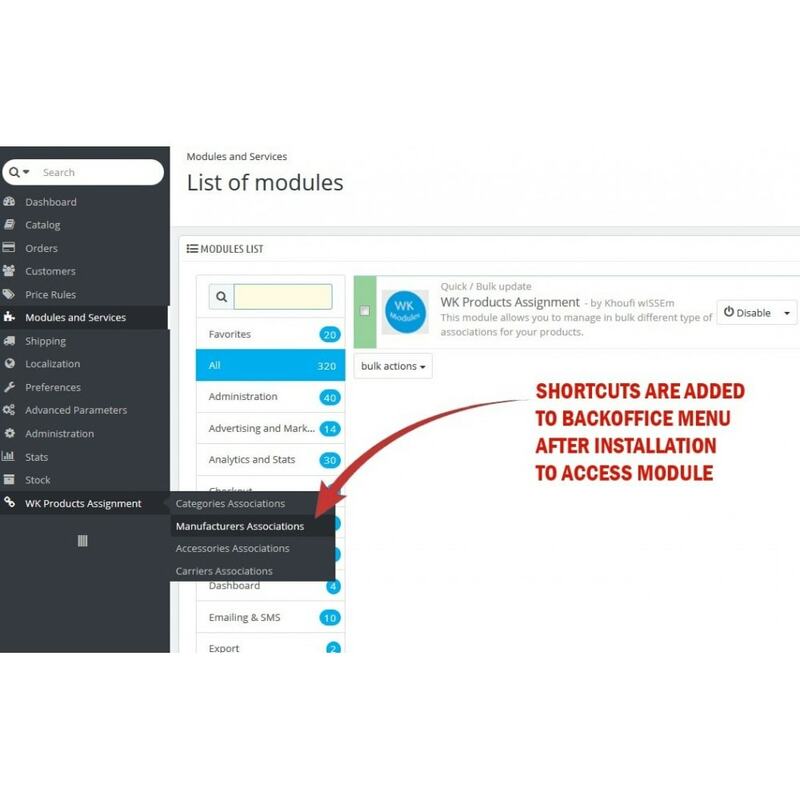 WK Mass Assign Features for Products. WK Mass Suppliers & Warehouses Assignment For Products. WK Quick Stock And Infos Suppliers Editor For Products.